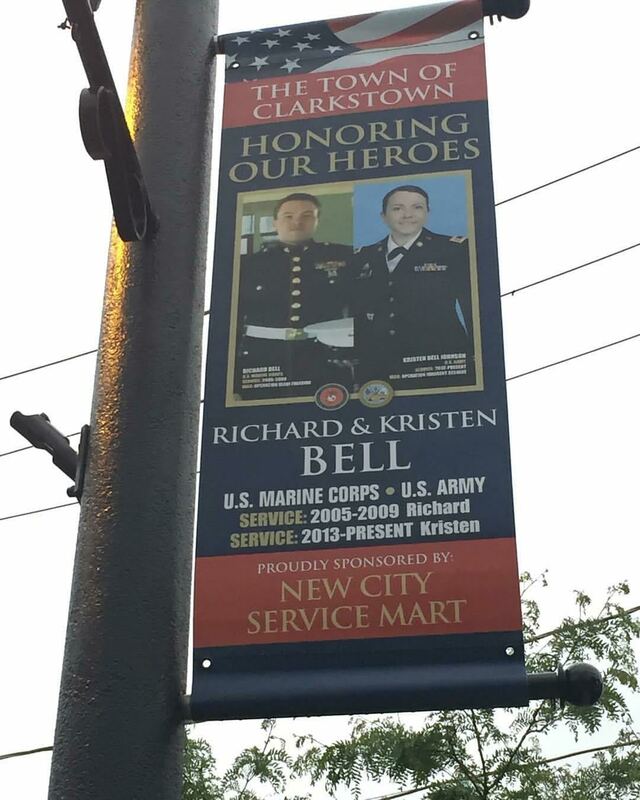 You may have seen pictures of military servicemen and women on banners around Clarkstown this Memorial Day weekend. The town is participating in a military tribute banner program designed to honor the veterans of participating communities all over the United States. Each banner features the photo of a local serviceman or woman and is sponsored by an area business. In the case of Richard and Kristen Bell, the brother and sister are featured on one banner together. The Village of Suffern also took part in the banner tribute this year. The program’s homepage is militarytributebanners.com.